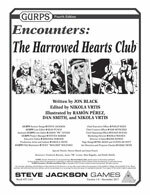 November saw the release of my first gaming supplement, Encounters: The Harrowed Hearts Club, for Steve Jackson Games’ GURPS (Generic Universal Roleplaying System). Though I have published occasionally in their monthly periodical, Pyramid, the supplement is a big milestone for me. After gaming for more than 30 years (and using GURPS for more than 20 of them) I feel like I’ve finally given something back to the gaming community. I’m pleased to report it’s already received generally favorable marks from one reviewer. In putting the Harrowed Hearts Club together, it was a pleasure to draw deeply upon my background as a music journalist and music historian. The supplement’s first part combines tools and resources for GMs to design and populate detailed, realistic, and unique nightclubs/speakeasies/music venues, etc. The second part contains four adventure seeds (encounters) reflecting a variety of genres, power levels, and historical periods. Jewels, Jezebels, and Jake Leg : A pulp encounter for low-level GURPS Action or similar campaigns. On the trail of stolen jewels hidden in the club, the party faces challenges, expected and unexpected, in finding the loot. The Lady With the Red Cameo: This encounter blends urban fantasy with Gothic elements. Meeting an unusual ghost, investigators have the tables turned when they are shifted back in time, confronting the worst disaster in the club’s history. The Deadly Chamber: Heroes discover that more than money is at stake when a backroom poker game adds macabre rules. Nobody Gets Out Alive: A night out takes a supernatural turn when patrons witness something they shouldn’t. Someone doesn’t want any survivors to tell the tale. To pull back Harrowed Hearts Club’s curtain a little a bit, below five questions about the supplement asked and answered. Q: Is there a real world inspiration for the Harrowed Hearts Club? A: The HHC is based on no single venue, but aspects of several different establishments found their way into my conception of the club. Bobby Mackey’s Music World, in Wilder, Kentucky, is the most direct influence (or, rather, the almost unbelievable body of supernatural folklore that has built up around Bobby Mackey’s). The now defunct Skyline Club of Austin, Texas, infamous as the venue where both Hank Williams and Johnny Horton played their finals shows before meeting untimely deaths, impacted HHC’s feel and back story. (Since there is a strong Austin component among my social media followers, the site of the Skyline Club now rests somewhere beneath the H-E-B at North Lamar and Rundberg). The Church, Dallas’s premier Goth club during the 80s and 90s (and possibly longer, but I don’t have the frame of reference to say so) offered an atmospheric influence on the HHC’s 80s and early 90s incarnations. Finally, I have to cite a decrepit basement punk/industrial club in Shreveport, Louisiana. I no longer recall the name, the venue’s subtle, creepy sensation of something being “off” has stayed with me and very much found its way into the mood and look of the HHC. Q: Are any of the encounters’ NPCs based upon historical figures? A: Even more than the club itself, the impact of any real persons on HHC’s NPCs is indirect and nebulous. 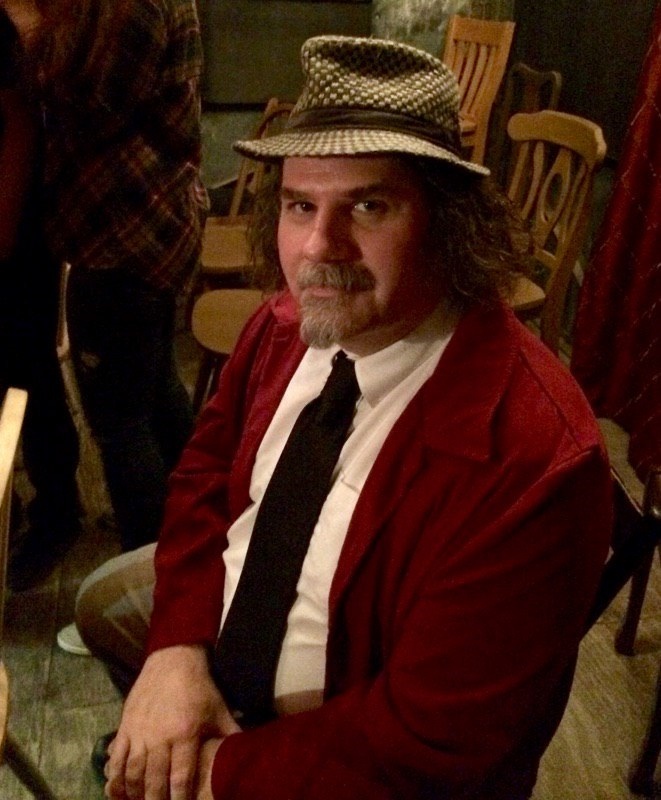 That having been said, it is certainly possible to see elements of Hank Williams in Billy Montgomery, Johnny Horton in Andrew Jackson Johnson, and (a bit more obviously) Johnny Ace in Ace Hoyle. Q: Do any elements of the Harrowed Hearts Club reflect personal experience? A: Yes. The section about it normally being impossible to get locked in a modern walk-in freezer (don’t ask). Q: What was the most difficult aspect of researching the module? A: Believe it or not, the hardest (or at least most frustrating) part was researching the sizes of various historic venues (offered as reference for GMs designing their own establishments). This proved incredibly time consuming. Apparently not many people Google “How many square feet was the Moulin Rouge?” Even where figures could be found, they were sometimes vague or contradictory. Q: Do you have a “suggested playlist” for the Encounters. A: Not yet, but that’s a good idea. I’ll get to work on if for a future blog post. Purchase The Harrowed Hearts Club from Steve Jackson Games here.